Building efficiency is one of the most effective and affordable solutions for addressing climate change and capping carbon emissions. Yet it is so often drowned by discussions of electric vehicles and solar panels. Given that better buildings are a great economic investment and provide a host of benefits for more livable cities, they deserve our attention. The urgency to act is great: building emissions must be reduced 80-90 percent by mid-century to keep climate change under 1.5 degrees Celsius. However, improvements to energy use in buildings is widely seen as “not on track” when compared to progress on renewable energy, transportation and industry. Much stems from the misconception that building efficiency projects are costly and complex, maybe even boring. Little noticed is that multiple transformative innovations in building technologies have become mainstream options over the past decade. They can improve comfort and productivity while curbing energy use and saving money. The International Partnership for Energy Efficiency Cooperation (IPEEC) recently highlighted the best available technologies and practices to improve building efficiency. Here’s a look at three affordable, available and transformative technologies that help bring building efficiency within reach for everyone. Conventional storage water heaters – gas or electric – are notably energy-inefficient. Operating on an entirely different and complex technology, heat pump water heaters are an innovative alternative. 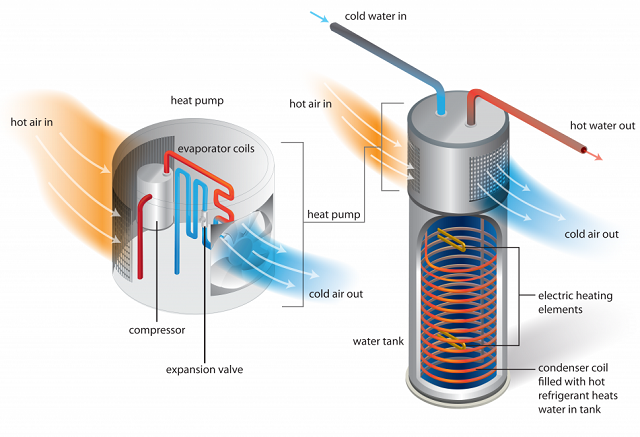 Instead of generating heat from an energy source, the heat pump transfers heat from the air into the water, similar to how a refrigerator works, but in reverse. While the initial cost for heat pump heaters is higher than conventional models, they are two to three times more efficient and have a projected payback period of about four years in the United States. In order to help ease these initial investment costs, several countries, such as the United States, the United Kingdom, Australia and Japan, are turning to grant tax reductions, subsidies, standards or labeling programs. The popularity of heat pumps is projected to grow in the coming years due to rising demand for new construction and a preference for energy-efficient and environmentally friendly products. Europe and the Middle East are expected to see the greatest increases. All in all, it pays to jump on the heat pump water heater bandwagon, since it offers the lowest operating costs of any water heating technology on the market. An air-source heat pump water heater works similar to a refrigerator in reverse, using surrounding air to heat water and save energy. Photo by U.S. Environmental Protection Agency, ENERGY STAR program. How many times have you exited your house or meeting room and left the lights on? Tied for the number one most effective energy-efficient technology in the United States is occupant-responsive lighting. As the name suggests, these lighting systems rely on sensors, timers, scheduling and dimming to adjust lighting based on usage, daylight conditions and time of day. This then eliminates the need to remember to switch off lights when necessary. Furthermore, since intelligent lighting systems allow for lighting to be dynamic, the emotional and biological benefits of light can be harnessed in order to support the health, well-being and performance of people using the buildings. When paired with light-emitting diode (LED) lights, which decrease energy use by at least 75 percent and last 25 times longer than incandescent bulbs, savings can be substantial. “Luminaire level lighting controls,” or LLLCs, combine LED fixtures with smart sensors to provide high-quality and environmentally responsive lighting. This money-saving technology can be especially effective in commercial buildings, as it accounts for changes in space utilization and can be coupled with other technologies, such as daylight harvesting and responsive dimming. 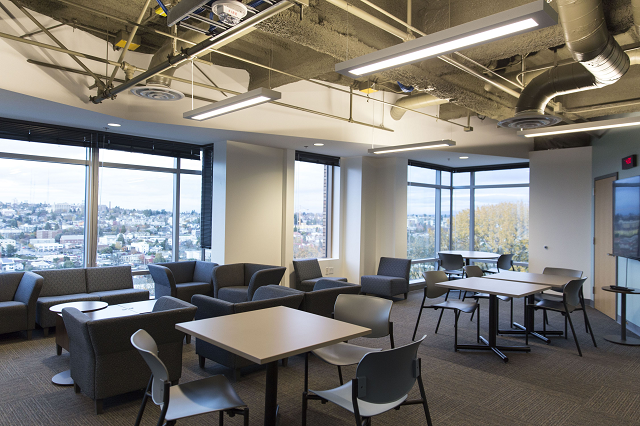 In one example, the historic Pacific Tower in Seattle integrated LLLCs to help reduce energy costs while providing for a variety of tenant types with different lighting needs. As a result, the building has reduced its energy use by 80 percent compared its older system. Traditionally, energy-efficient windows have mainly been reserved for colder climates, most popular in markets like Europe. However, given that low-performing windows with air leakages can rapidly drive up a building’s heating and cooling costs, many more countries are now turning to energy-efficient windows. China, South Africa and Brazil are all expected to register significant market growth in the next five years. 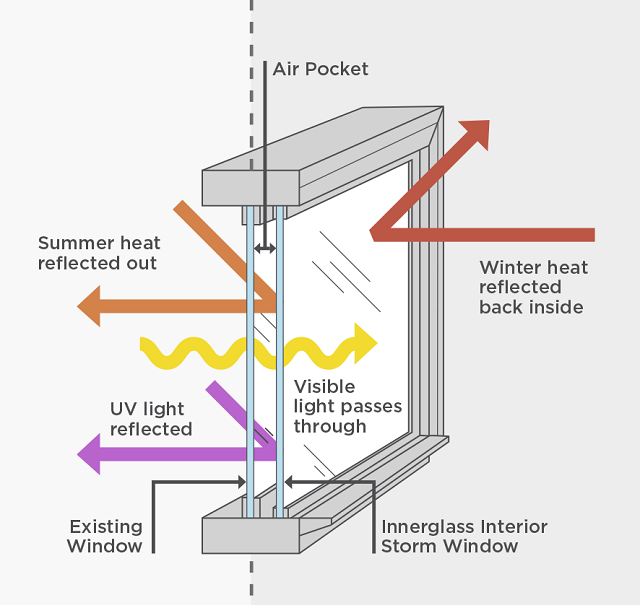 “Low-e” storm window attachments are additions, rather than replacements, that reflect summer heat and UV light, allow visible light to pass through, and capture winter heat. They are an affordable option, costing about 25 percent of a complete window replacement, and can cut heating and cooling costs by 12 to 33 percent. In addition, they are extremely quick to mount, reduce noise and are widely available. A low-e storm window attachment reflects out summer heat and UV light, allows visible light to pass through, and captures winter heat. Photo posted with permission from BetterBricks. All things considered, efficient buildings are more affordable than their non-efficient counterparts. While these technologies will provide immediate and long-term benefits in most places, their availability and appropriateness to the local climate, building stock and construction practices vary. The IPEEC highlights regional and national variations in the best building technologies and practices through a country-specific series of top 10 lists. The IPEEC lists are great resources to learn more about these and other innovative technologies and construction practices, making building efficiency a little more tangible…and maybe even a bit fun. Anna Marie Walter Pineda is an intern with the Building Efficiency Initiative at WRI Ross Center for Sustainable Cities. Luting Jin is an intern with WRI’s Energy Program. Eric Mackres is the Building Efficiency Manager with WRI Ross Center for Sustainable Cities.